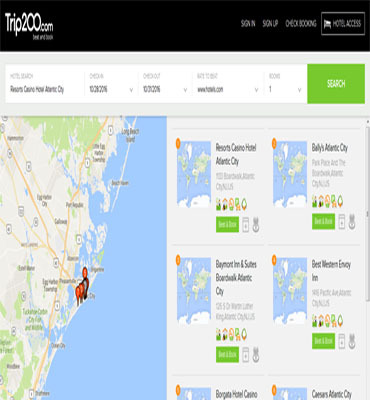 Trip200 is an online hotel search platform that allows travelers to search and booking hotels in different locations. 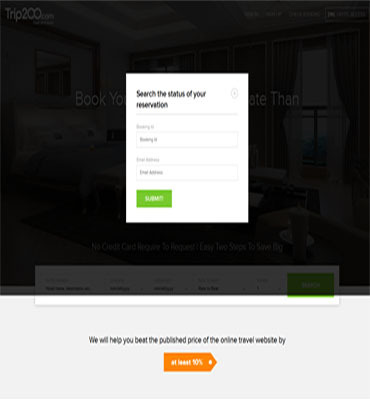 The platform offer lowest rate of hotel booking as compared to other online hotel booking websites like Kayak, Expedia, Trivago, etc. They are endeavoring to offer best value to the hotel guests and hotel owners. 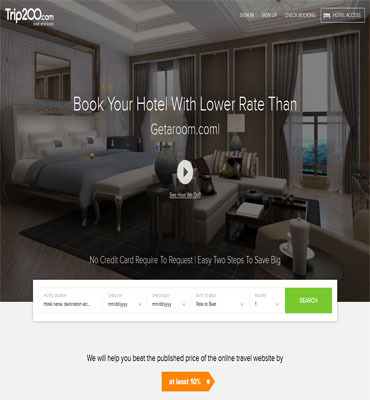 It also enable to search and compare the rate of multiple hotel booking sites so travelers can pick the best hotel at great price. 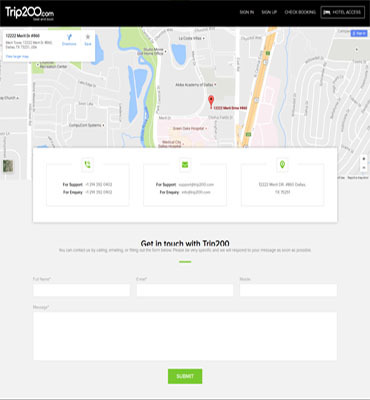 Trip200 also offers tools that allow hotel owners to enhance their business profile by adding descriptions, images and to receive real-time booking requests from travelers. We did some RND on hotel booking platform and deployed our dedicated team to deliver the project on estimated timeframe. We had a different set of requirements where we have to develop a website along with the desktop application which was synced to the server in real-time. Finally we developed an online platform that could deliver high performance and speed while efficiently maintains all the bookings as well as new hotel registrations. 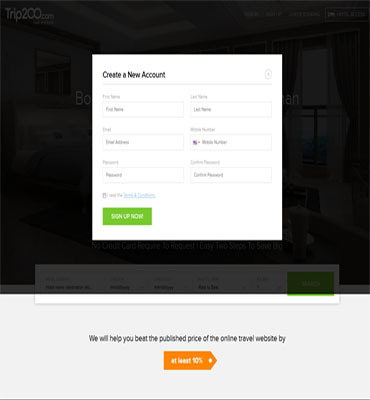 We also developed a desktop application for hotels where they manage all bookings and linked the application with live server to keep the date updated in real-time. Flexsin have completed a complicated project for us with the utmost professionalism and expertise. I..
For hotels, the application work as a flat fee based low-cost reservation provider, which saves large amount of commission charged by the travel websites.